At Chalani we believe we offer you the best value for money. Our prices are extremely competitive with comparable sources because of lower overheads. Just ask our satisfied customers. 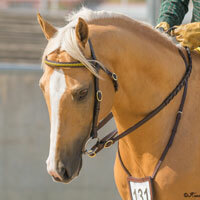 All horses are correctly raised, regularly wormed and inoculated, and carefully handled. Youngsters are raised on large paddocks so they can move and grow naturally. We place great emphasis on the selection of suitable breeding stock, and endeavour to match the horse for suitability and temperament with the buyer, taking much of the risk out of your choice. All our stock are registered with the Australian Stock Horse Society, Australia's largest breed organisation, giving you a sound and proven investment through competition, activities, incentives and awards available locally and nationally. Australian Stock Horses are in great demand throughout Australia, holding their resale value extremely well, and have proven themselves internationally in Showjumping, Dressage, Polo and Polocrosse. Average prices of ASH�s at regular auctions are over $5000. Perhaps most importantly - By placing your business with us you become a very valued client. You are our most valuable asset and will be treated in an appropriate manner. We abide by the breeders Code of Ethics and give follow-up after-sales service, advice, and encouragement. We can assist in advertising your horse on our website if you need to re-sell (due to family circumstances etc). PLEASE LOOK AT OUR CURRENT SALES LIST. We look forward to a fulfilling and rewarding partnership with you. Many of our clients become our friends and you may even make new friends through our network of contacts. sell a little cheaper and the people who consider price alone are this man's prey." We guarantee our horses to be drug and hormone free, not windsuckers, roarers or wobblers and sound for the purpose purchased at the time of purchase. Any horse sold as a gelding is guaranteed to have had both testicles removed and shall not be a rig. Our horses are sold with all faults, if any. We do not give trials off the property, nor refunds on purchases, as it is impossible for us to control circumstances after the horse leaves us. We are happy for a veterinary examination at the purchaser's expense to be conducted prior to sale. Lay-by is available to approved purchasers with a minimum deposit of 20% and an agistment charge until payment is made in full. The purchaser shall be responsible for all expenses for the care of the horse while on agistment. No refunds will be given for default of lay-by. Remember when you put an item on lay-by it is a legally binding contract to buy and you have no right to cancel the agreement because you change your mind. Each horse is sold with its registration papers up to date and no impediments to transfer with the Australian Stock Horse Society. Owners must be a member of the ASH Soc. for the transfer to be effected. In order for the registration to remain current, for you to advertise, breed or show the horse as an Australian Stock Horse, you must remain a member of the Australian Stock Horse Society. Your papers will be passed on to you by the Society after processing. Foal recorded horses must be adult registered to enable them to be shown or or sold in an ASHS approved sale. 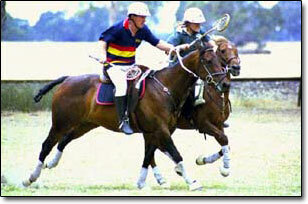 Coloured horses may be registered with Dilutes Australia and some horses may also be registered with the ANSA (Australian National Saddlehorse Association). PLEASE NOTE: Name changes are not permitted when Chalani horses are registered with Equestrian Australia or other associations or breed registries. All horses must be registered in the same name as their ASH breed registration for competing in any discipline, or participating in Pony Club and Riding Club. Full membership rights for 18 years and over, voting rights etc. 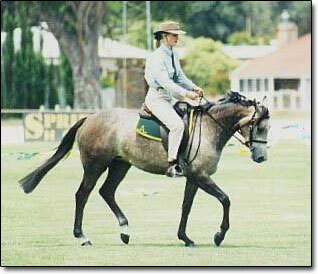 A bi-monthly National magazine "The Australian Stock Horse Journal". Eligibility for membership of your nearest local branch. SA Central Branch members receive the newsletter The S.A. Stockwhip.